Our experience with American Fortune was great. They were able to find the best group to purchase our three medical centers. They were extremely creative and solved numerous problems when it seemed the sale would fall apart. I would highly recommend their merger and acquisition services and business valuation services to anyone with a medium size business. American Fortune is straight-forward and easy to work with. 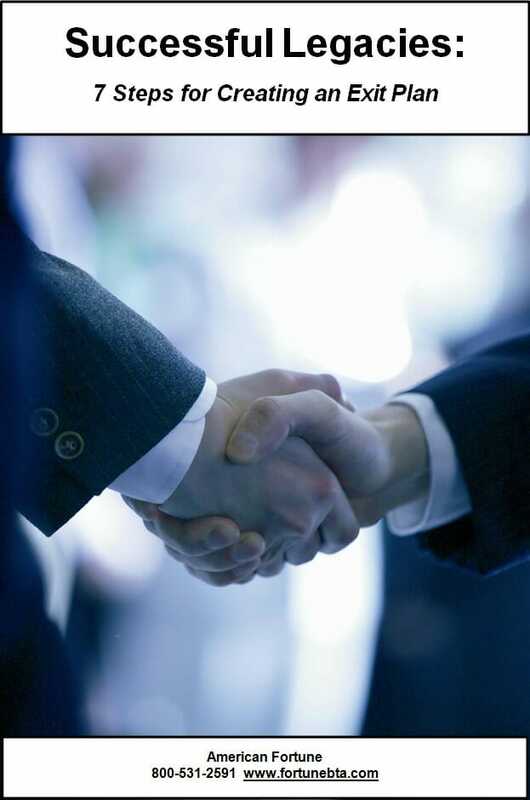 They posses unique expertise in business sales and acquisitions of small to medium size businesses. They have a great vision and passion to turn their expertise into real dollars for their clients. My experience with American Fortune was very positive. I was very impressed with their process and approach in the preparation and sale of my business. I found them to be very trustworthy and helpful. 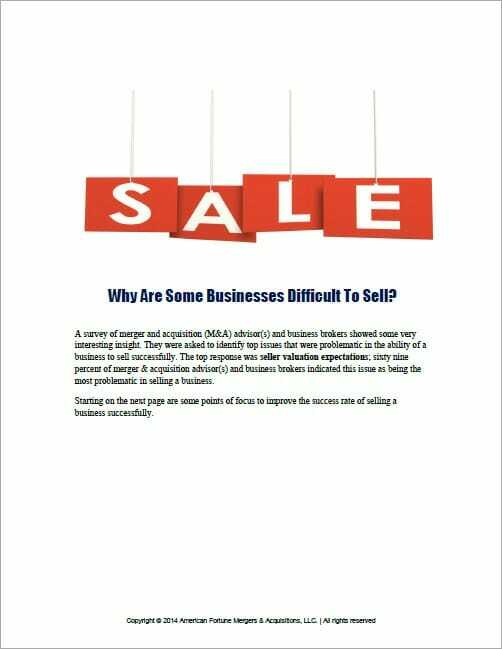 Like many business owners I undermined what goes into preparing the business for sale and the process and amount of work that goes into successfully selling a business at the best price and terms. Their services more than paid for their fees since they were able to negotiate and structure the deal so that the result was a higher selling price and more favorable terms for me as a seller. I am writing with the utmost confidence to recommend Brian Mazar with American Fortune for any business sale, merger or acquisition. After many attempts and many years on the market, Brian Mazar and his firm completed the sale of a three location business when all other efforts had failed. American Fortune brings to the table insightful skill, expertise and research in a very complex arena that requires knowledge of the marketplace. Once again, I highly recommend American Fortune. American Fortune not only expertly handled the sale of my business, they also advised me on how to get the maximum value for my business. Compared to other Mergers & Acquisitions firms, American Fortune is the absolute best. Extremely knowledgeable, detail orientated, and tenaciously work to successfully get the deal done for their client. More importantly, honesty and integrity are their best qualities especially in a field where these traits are sometimes missing. American Fortune helped me with a business valuation for a consulting client of mine. Their work was thorough and fairly-priced, plus their service went above and beyond what this project had a right to expect. I would be delighted to recommend American Fortune for similar projects in the future. American Fortune not only expertly handles the transfer of businesses, they also advise how to get the maximum value for your business. They are expert business advisors. They can also help you with your Succession/Exit Plan. The firm is dedicated to providing you excellent service.